Last year saw the reissue of three records that have thrown a long shadow across the landscape of rock. These three albums were made by Neu! (pronounced noy and meaning “new”) in Dusseldorf and Hamburg between 1972 and 1975, after Michael Rother and Klaus Dinger had abandoned the fledgling Kraftwerk to work as a duo. In the ensuing three decades, the influence of Neu! has reached bands like Pere Ubu, Joy Division, Mission of Burma, Sonic Youth, and Stereolab. Despite its age, most of Neu!’s work sounds anything but dated. The first album’s first cut, “Hallogallo,” embodies the central characteristic of their sound, often called motorik. It is a mesmerizing 10:07 track without vocals built upon crisp, quick, su per-straight drumming locked in with a two-note bass line and various phased and otherwise distorted guitars. 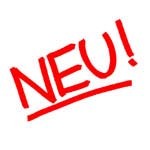 Unlike Kraftwerk’s music, Neu!’s work swings and generates heat as it rolls obsessively forward. It suggests the open road at a cruising speed ju st shy of danger. Each of the three albums contains transcendent material. However, if you can’t buy all three, skip the third (Neu! 75), on which the band sounds a bit self-conscious and grandiose as they use keyboards to inflate their essential sound. If you can afford o nly one, it’s a toss-up. The debut is a true album, a complete work featuring motorik, a pair of slow, moody songs, one stately (“Weisensee”) and one both mournful and insane (“Lieber Honig”), as well as a handful of compositions built around industrial n oise, water soundscapes, tape tricks, and lock-groove rhythms. On the other hand, Neu! 2 is not only brilliant but perverse. Side one plays as you might expect: two short atmospheric pieces sandwiched between an 11-minute motorik workout (“Für Immur/Forever”) and a fast, fierce cut featuring Dinger’s snarled sub-verb al vocal track. The second side was assembled after Neu! had completed the aforementioned songs and a single (“Super” b/w “Neuschnee”) and after their label had refused to advance any more money to complete the album. Dinger and Rother decided to deliver the album to the label with no additional songs. Instead, they replayed the two tracks of the single at 16 RPM, 78 RPM, and at normal speed. They added sound f/x and tossed in a couple of noise/art pieces, also one a drone and the other a woozy soundscape featuring the band talking over a distant playback of “Hallogallo.” Though on one level the group intended side two as a kiss-off to the record company, the song cycle actually raises the band¹s stature as conceptual artists. Neu! 2 ends with “Super” at 33 RPM, a gem of fury, longing, and joyously rudimentary rock. The Neu! records will instantly disabuse you of the notion that the term krautrock is a curse. And they will enrich your appreciation of contemporary electronica and post-rock.